Gorgerous Outfit. I love the combination. ahhh so much color! looks fun :) love that third photo. Love these picture, they're so bright and colourful! reminds me of grease for some reason ahaha! love this outfit! so spring-ish! Ziet er zo leuk uit! En Guillemots, ik hou van Fyfe zijn stem, zijn solowerk is ook wel fijn. aww that's so lovely! 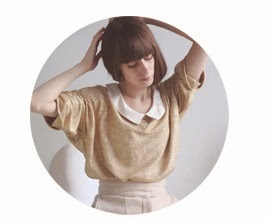 love that pictures and your outfit is absolutely amazing! Die foto's zijn echt geweldig, wauw! Wauw, je blog en foto's zijn echt heel tof! Hele leuke outfit, zeker met die stippenpanty! 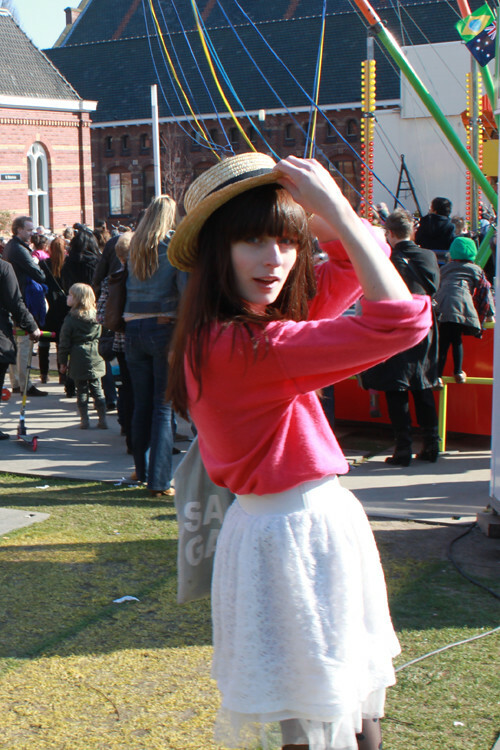 Perfect for the candy coloured fun fair! wat leuk is dit zeg! i want your hat please! These pictures are so much fun! So bright! It's like a giant candy land. I love that bright pink and the fun tights. The last picture is awesome because there's not a single cloud in the sky =) It's snowing so much right now here =( BOO. Leuke outfit! je rokje vind ik echt heel leuk! Love your blog, and thanks for introducing me to the Guillemots, they're amazing. Supermooie outfit! Je rokje is zo cute! All these vibrant colors are amazing. These pictures look like they are straight out of an editorial magazine. I love your dotted tights! 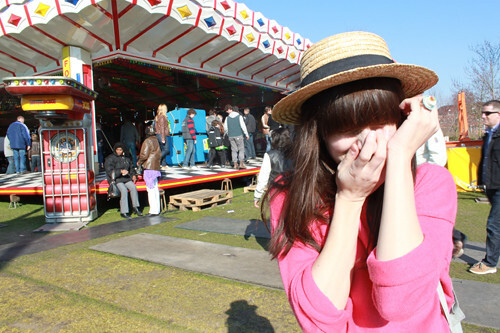 You match the funfair colours! It's so lovely. I really like your blog. I follow you! 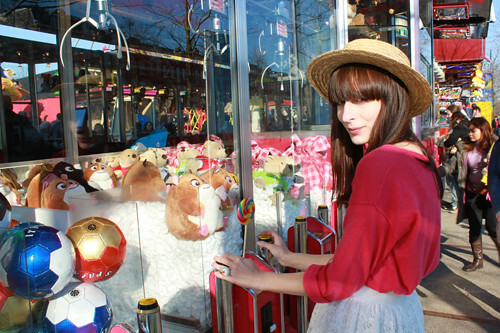 great pictures :) love your hat! Oh this outfit is so cute and fun! Love the way you wear those tights! wow! what a perfect pics! everything's so colorful! i love it! I love the bright happy feeling of these pictures! The fun colours alone make me smile! Your outfit is also really cute too! omg, i really love this outfit! 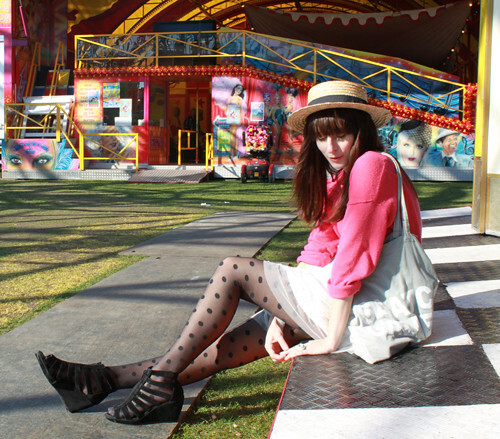 the polka dotted tights are so whimsical and the color of your sweater is loverly! !